We are not alone in longing to know that the presence of the Lord is with us! Your hand trembles as you open the pathology report that has just come in the mail. Your voice breaks as you let your spouse know that you have lost your job. You don't know how much your friends notice your hands shaking, but you have come to realize that you need to let them know, sooner rather than later, about your Parkinson's. You do your best to hide your addiction, but you worry others might discover your dirty secrets. You struggle with loneliness while appearing to be the life of the party to everyone else. Your memory is slipping, you find yourself angry more and more, but you are afraid that a trip to the doctor will confirm your worst fears. Life is hard. Yes, life can be full of joy, adventure, and blessing. But, none of us makes it out of this life alive. At some point, all of us will face tough times — times that try us down to our souls, bone-wearying and soul-withering times. In the middle of these tough times, we can wonder: Where is God while I face my gut-wrenching messes? Why doesn't Jesus come to me and still my storms and get me where I long to go? We desperately need to know that the Lord is right here with us. If not, we are not sure we can continue our struggle! Oh God, please, I'm begging you, please, show me you are here with me. Please help me know that I am not alone in my mess. Please help me believe that you will get me through this. Please show me that I don't have to face this on my own! Why do we look at such longings as a sign of weakness or a lack of faith? A look in our Bibles tells us the exact opposite. Rather than considering ourselves weak for having struggles and yearning for God to show himself, we need to know that we are in good company. Our deep longing to know God's presence is with us in our worst trials connects to those we call heroes of the faith. Faced with the daunting task of leading the slave-minded people of Israel through the wilderness, Moses was adamant. He wouldn't lead God's people unless the LORD's presence went with them. Furthermore, Moses demanded that God display his glory to him or he couldn't lead the people (Exodus 33:12-18). He had to know that God's presence went with him. He knew he couldn't do it on his own! Jesus had just washed his disciples' feet and had warned them of their subsequent unfaithfulness (John 13:1-33). The Lord spoke of his return to the Father, then about his return to his disciples to bring them home to the Father (John 14:1-7). Jesus' apostles couldn't grasp what he had said. They wanted to understand, but couldn't. So Philip, speaking for all of the apostles, finally asserts, "Lord, show us the Father and that will be enough for us" (John 14:8). Lord, reveal the Father to us! Lord, let us know you are with us! We are not alone in needing to know God is near. We are not weak because we want to know that the Lord is with us. God gave others before us his assurance of being present with them and never leaving them so that they could be "strong and courageous" (Joshua 1:5-6). Others begged God not to remove his presence from them (Psalm 51:10-12). They knew they couldn't do it on their own! Don't be afraid to ask for God to reveal his presence to you. Seek his presence. The Lord is near (Philippians 4:5). The peace of God will guard your hearts and minds in Christ Jesus (Philippians 4:7). The God of peace will be with you (Philippians 4:9). I want these three promises to be our assurance, too! First, you are not weak or wrong because you long to experience God's presence in your life. Faithful men and women of God have yearned for this assurance throughout history as they begged for God to reveal his presence. In fact, God wants you to seek him and live (Amos 5:4, 6). He wants you to call upon him while he is near (Isaiah 55:6). He wants you to take delight in drawing near to him (Isaiah 58:2). Second, God has promised us, his children and Jesus' disciples, that he would be present with us and never forsake us (Hebrews 13:5-6). 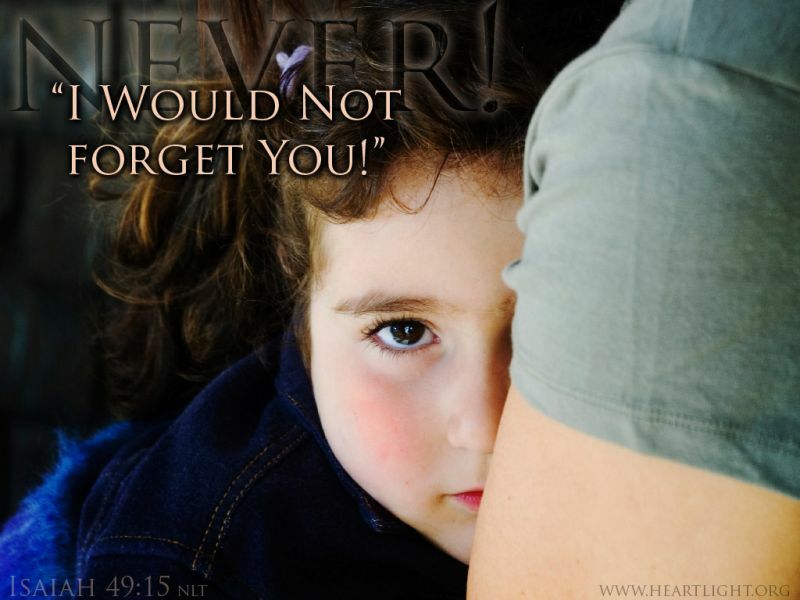 More faithful than a mother to the child at her breast, the Lord will not forget us (Isaiah 49:15). We know that the Lord will never forsake those of us who trust in him and call on his name (Psalm 9:10). 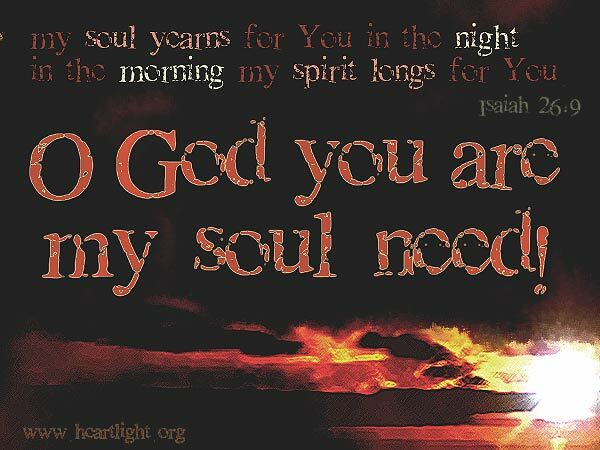 "The Lord is Near: Longing" by Phil Ware is licensed under a Creative Commons License. Heartlight encourages you to share this material with others in church bulletins, personal emails, and other non-commercial uses. Please see our Usage Guidelines for more information.